Journal of Industrial and Environmental Chemistry is an open access peer-reviewed journal that brings together multidisciplinary interests in one journal and is to disseminate information on all aspects of industrial and environmental chemistry. Contributions in the form of research articles, case reports, and review papers are considered for publication. 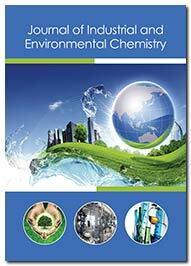 Journal of Industrial and Environmental Chemistry is included in Secret Search Engine Labs. Industrial Chemistry deals with physical and chemical processes towards the transformation of raw materials into products that are of beneficial to human health. Environmental Chemistry is the scientific study of the chemical and biochemical phenomena that occur in natural places. It can be defined as the study of the sources, reactions, transport, effects, and fates of chemical species in the air, soil, and water environments; and the effect of human activity and biological activity on these. Environmental chemistry is an interdisciplinary science that includes atmospheric, aquatic and soil chemistry, as well as heavily relying on analytical chemistry and being related to environmental and other areas of science. The journal is aimed to encourage and publish research papers, covering almost all aspects of Industrial and Environmental chemistry. It is also devoted to the publication of contributions in all fields of experimental and applied researches including Atmospheric, Aquatic and Soil chemistry, as well as heavily relying on chemistry, Process control, Chemical reactor, materials, Electrochemistry, Environmental Toxicology, Environmental Radioactivity, Environmental Science and Pollution Research, Green Chemistry, Inorganic Chemistry, Petro Chemistry, Analytical Chemistry, Organic Chemistry, Biochemical Methods, Enzyme Technology, Physical Chemistry, Polymer Chemistry, Photochemistry, Supramolecular Chemistry, Nano Chemistry, Petro Chemistry, Catalysts, Polymers, Coatings, Membranes, Lubricants, Modelling and Scale-up procedures and other areas of science. The comparative jurisprudence of catalysts preparation methods: I. Precipitation and impregnation methods.